The HAC is rather dissimilar to any other City venue. Here you will find a magnificent Georgian house set in a five acre garden hidden away in a quaint quiet location just a couple of minutes walk away from Moorgate. Inside this exclusive, historic London venue you will find nothing short of a wide variety of event spaces for everything from conferences, meetings and awards dinners to summer and Christmas parties. You can of course choose this venue also for wedding ceremonies and receptions. 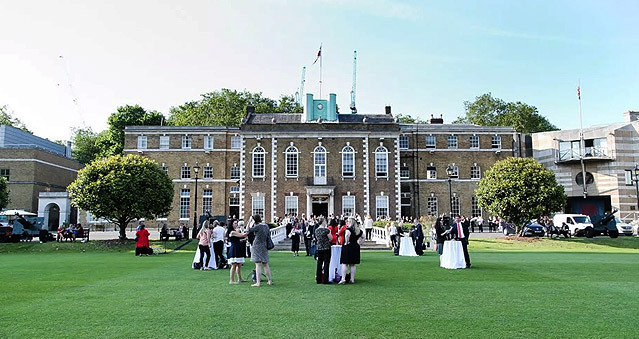 From small meeting rooms for 10 people over to to the Prince Consort Rooms which seats up to 400 guests, the HAC venue in London is able to offer the perfect setting for every type of event, especially your team building and team development activities!